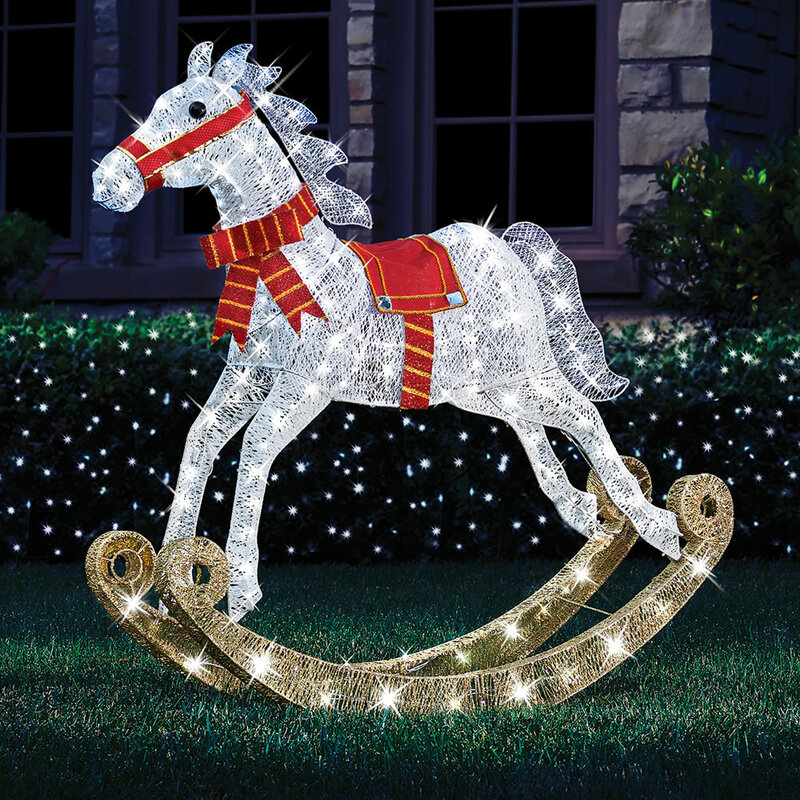 Only available from Hammacher Schlemmer, this is the illuminated outdoor rocking horse decoration that greets holiday guests with a twinkling touch of Victorian whimsy. Made from iron with cotton thread, the weatherproof mount stands aglow with 120 white twinkle LEDs against glittering white fabric and accessorized with a red plaid bow. It stands 4' tall on its decorative runners and measures 4' long from nose to plumy tail. Festive details include a decorative red saddle and bridle that impart a classic palette and complement other Christmas decorations. Plugs into an AC with 9' cord. The 4' Twinkling Rocking Horse comes with The Hammacher Schlemmer Lifetime Guarantee. Items that we sell are guaranteed for their normal life under standard non-commercial use.